Prices below are based on a 3 hour local wedding. 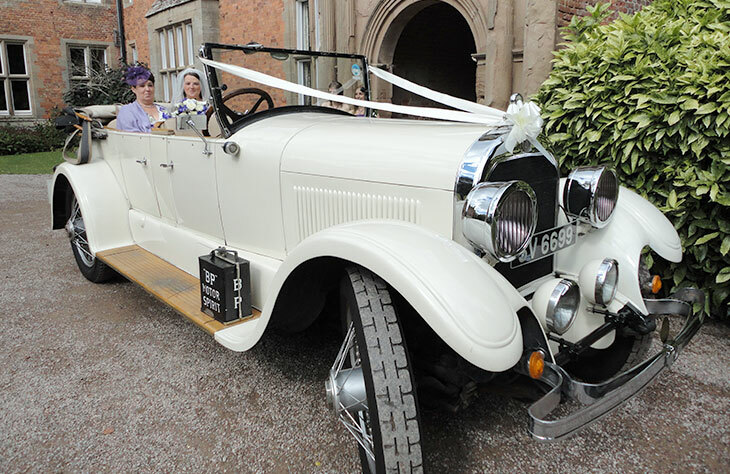 Having a vintage car at your wedding is likely to attract a lot of attention. You get a lot more of it when the vintage car itself is a rare thing, unseen before, and with a more outstanding presence. The 1924 vintage convertible is a fine example of this kind of classic. 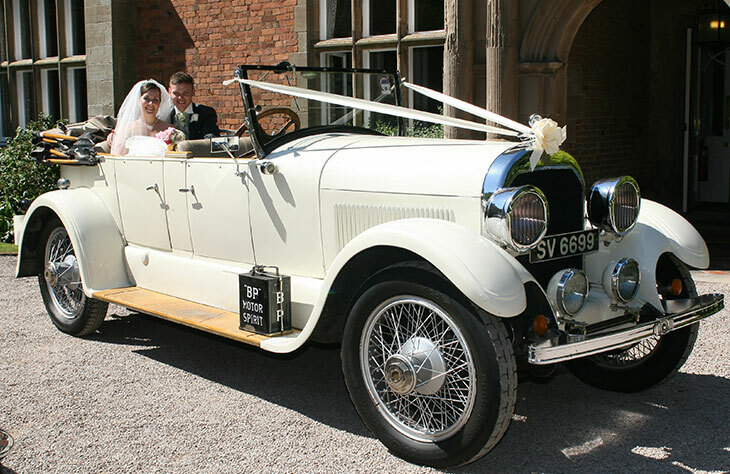 Made by Le Salle/ Cadillac, and imported to hire in Worcester from a lavish private collection in South Africa, this vintage is exactly the kind you want at your wedding if you have a weakness for classic cars. The car is large by all standards, and provides luxury in a unique package. 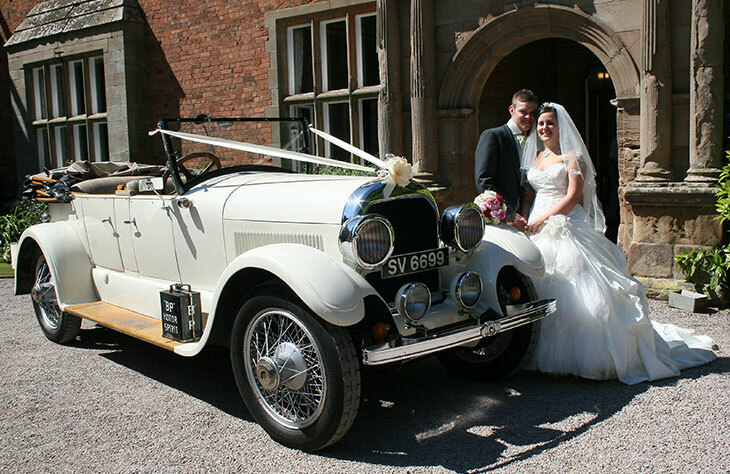 The doors are contra opening, so easier access is granted to brides with larger dresses. You have the option of having the roof down as it has a foldable design. We represents quality and unrivalled service. 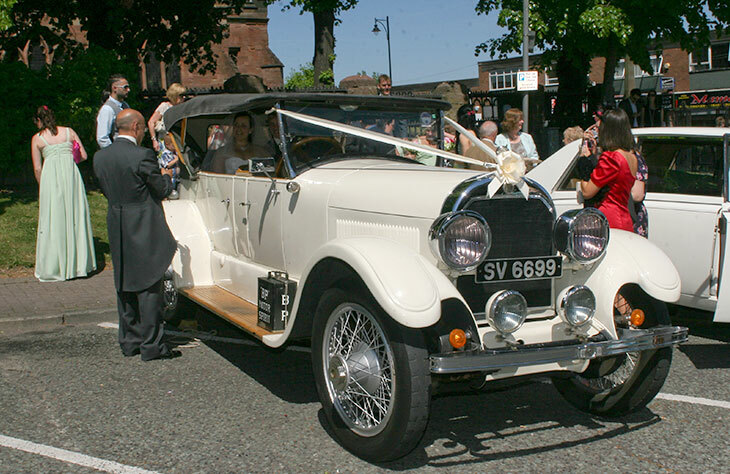 The fleet includes one of the largest quantity of wedding cars Worcester has seen.